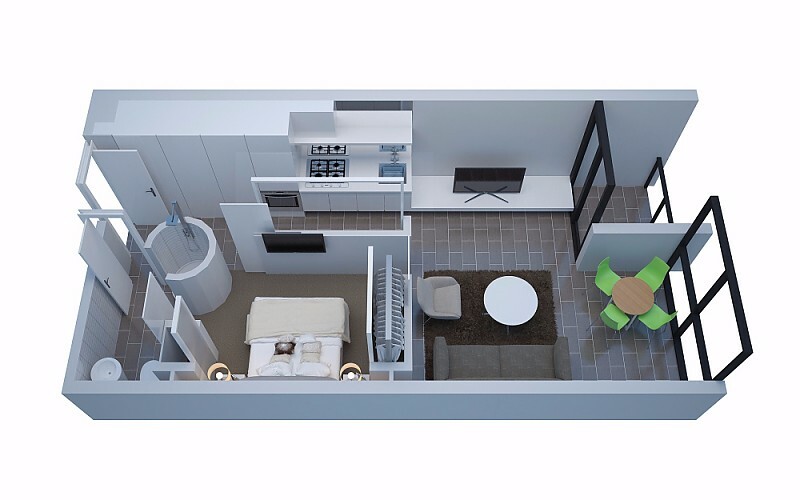 Our spacious open plan Studio Apartments all vary in design, layout and bedding configuration and sleep up to 4 persons (rates are based on 1 or 2). 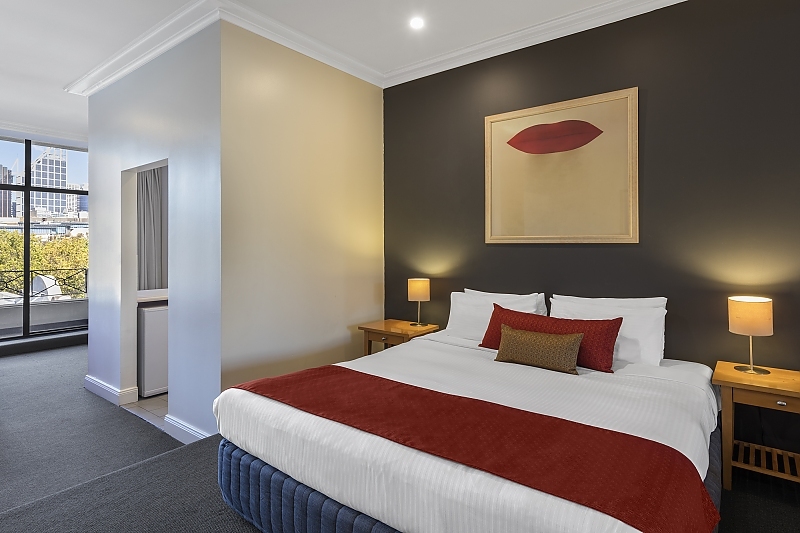 The bedding configurations options are; 2 x queen beds or 1 king bed & 2 single beds or 1 king bed & 1 single bed or 1 king bed & 1 double sofa bed; you may request your preferred bedding at the time of booking. 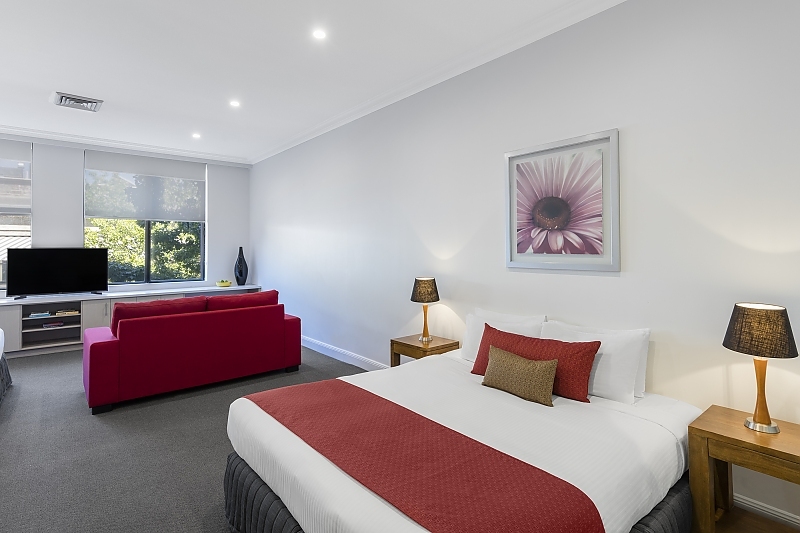 Please note that the bedding configuration is not guaranteed, however we will do our best to provide your request, subject to availability. 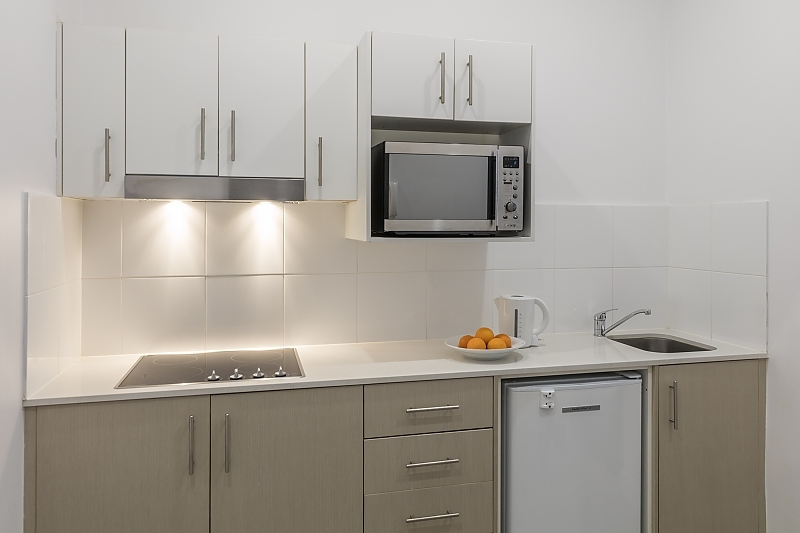 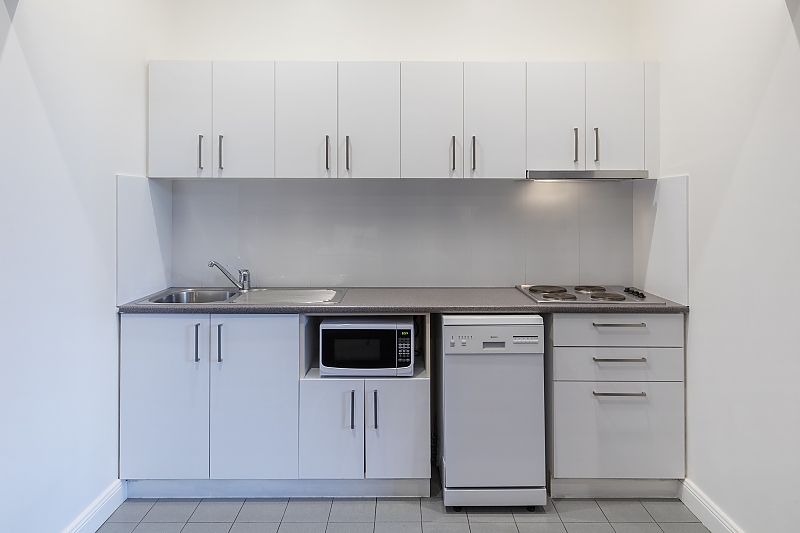 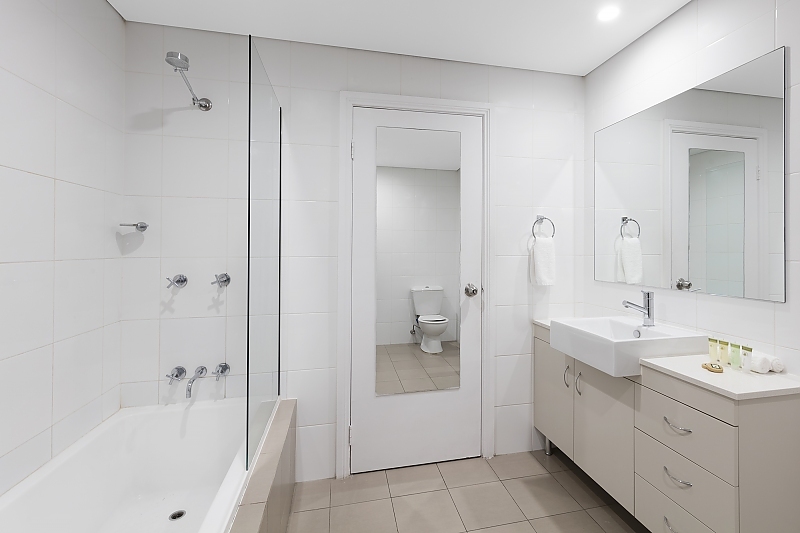 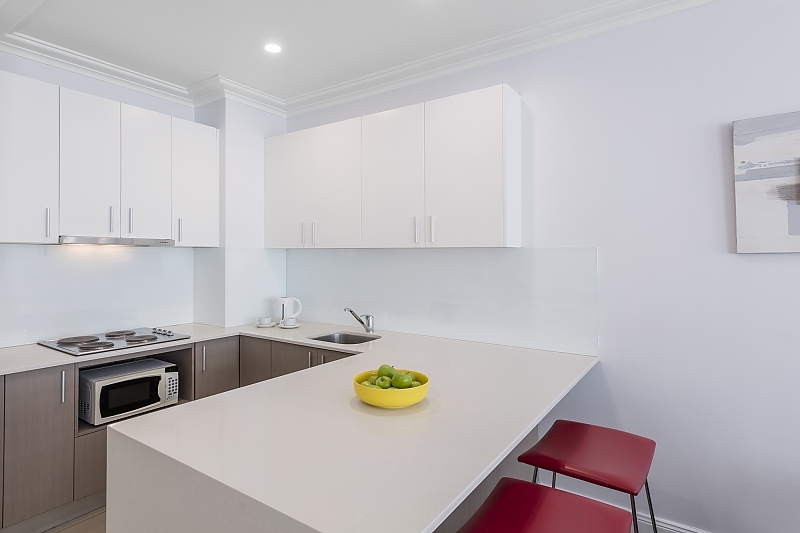 All apartments are fully self-contained and have kitchenettes with stovetop and microwave, combined spacious lounge and dining areas with LCD TV with Foxtel TV channels, WiFi access, and ensuite bathroom. 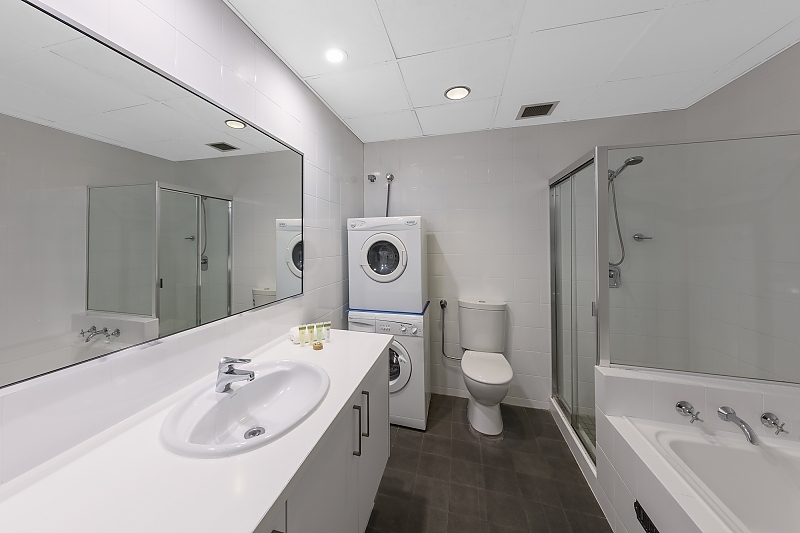 Some apartments offer internal laundry facilities, alternatively a coin operated guest laundry is located within the building. 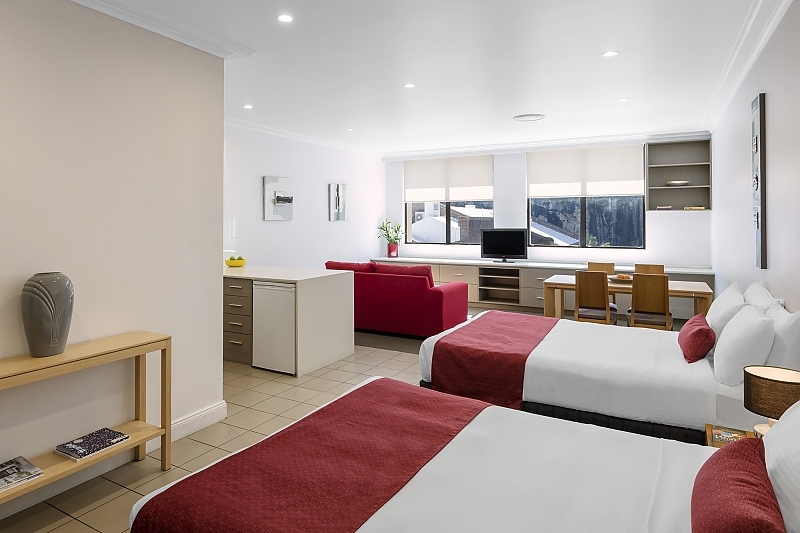 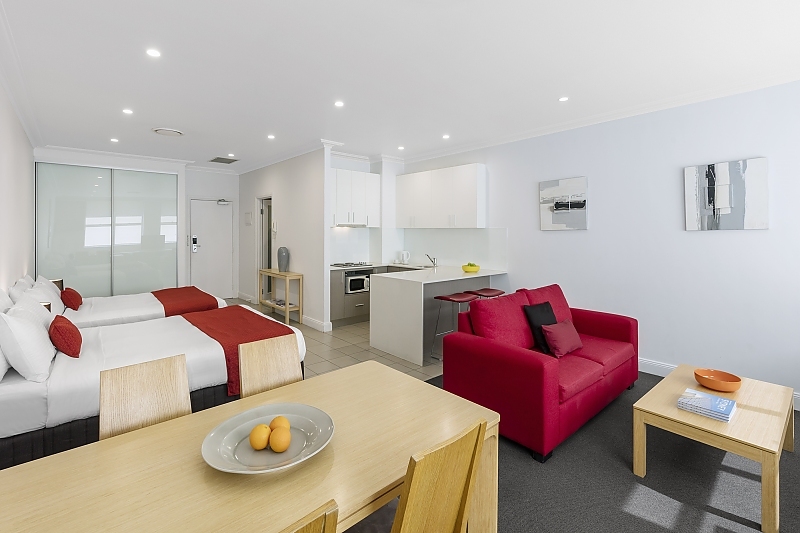 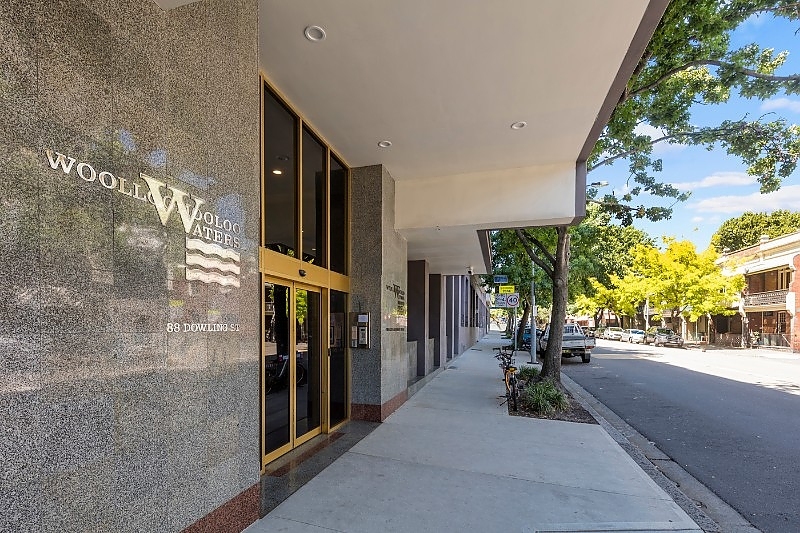 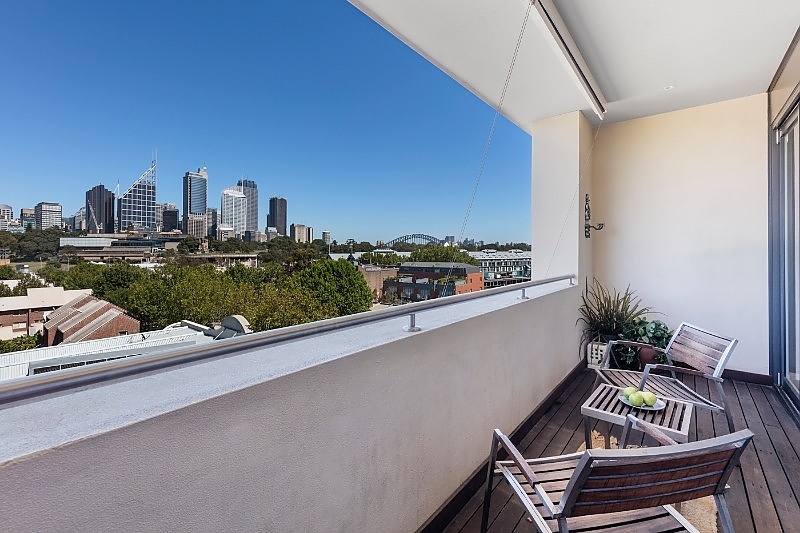 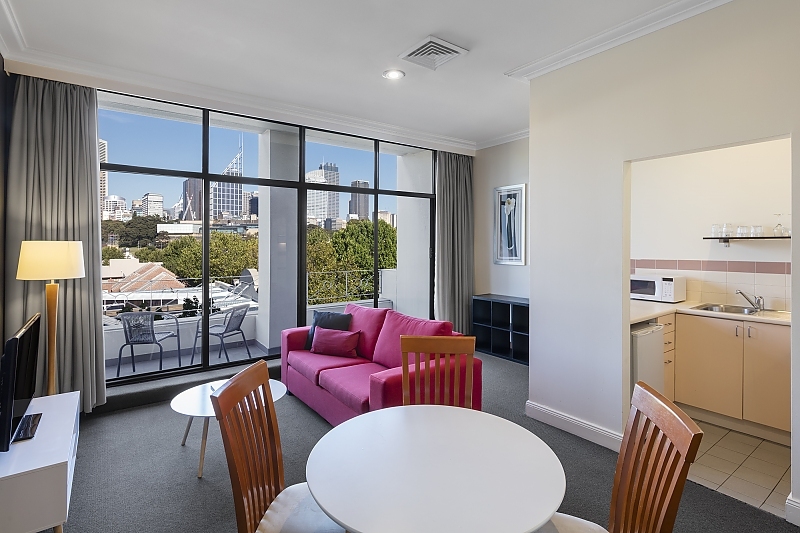 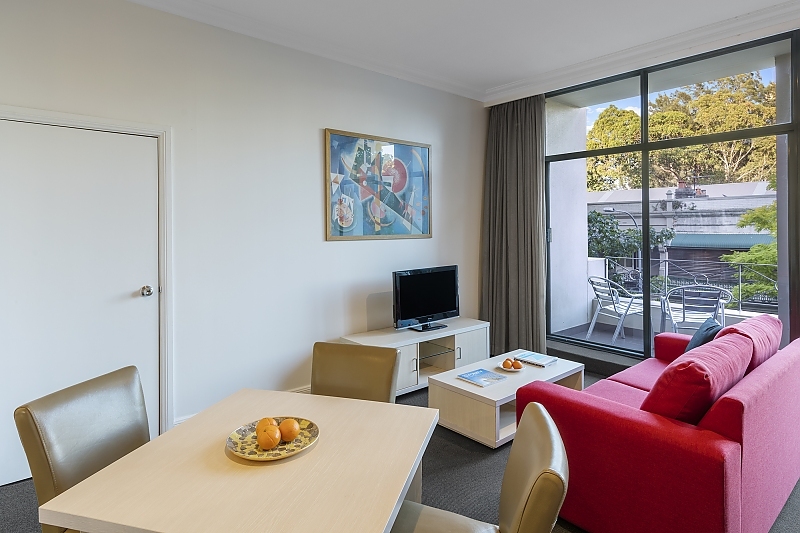 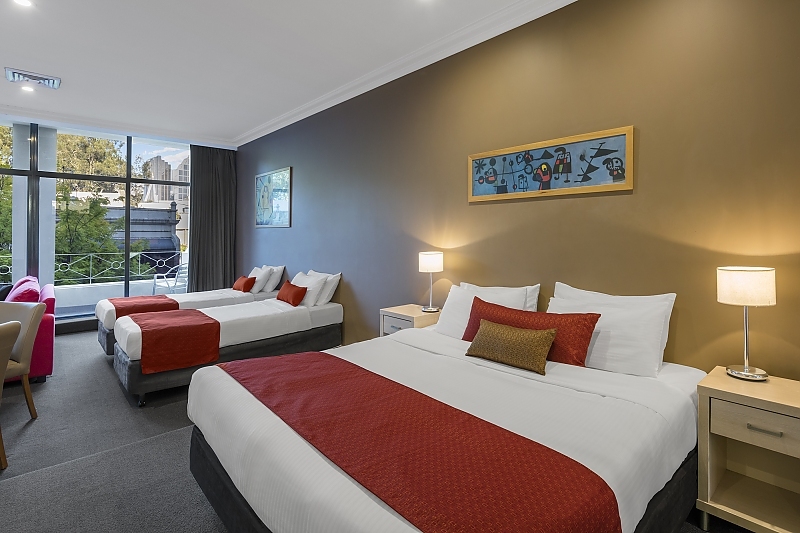 Waldorf Woolloomooloo Waters Serviced Apartments offers fully self-contained apartments consisting of a range of various Studio Apartments, Two Bedroom Apartments and a Three Bedroom Apartment which are perfect for either short or long term accommodation stays. 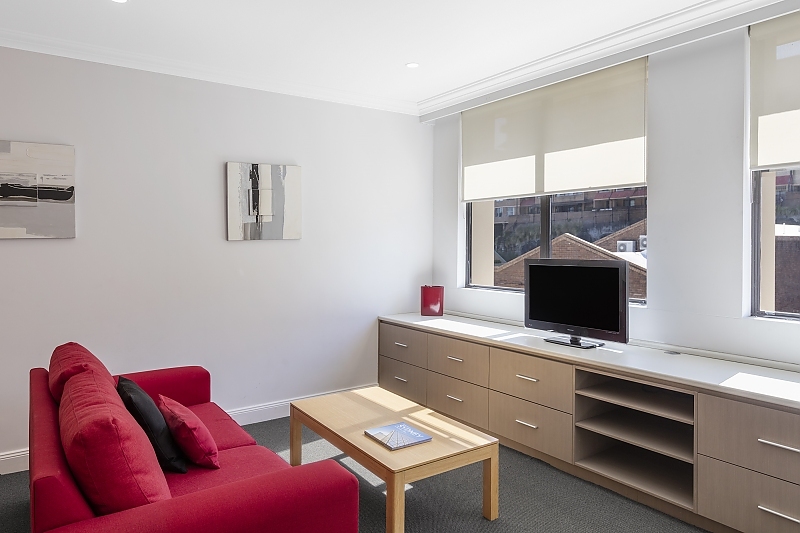 All our Apartments are ideal for guests wanting more space, families, colleagues or larger groups looking for a home away from home experience also with a fully equipped kitchenette, flexible bedding arrangements and spacious living areas. 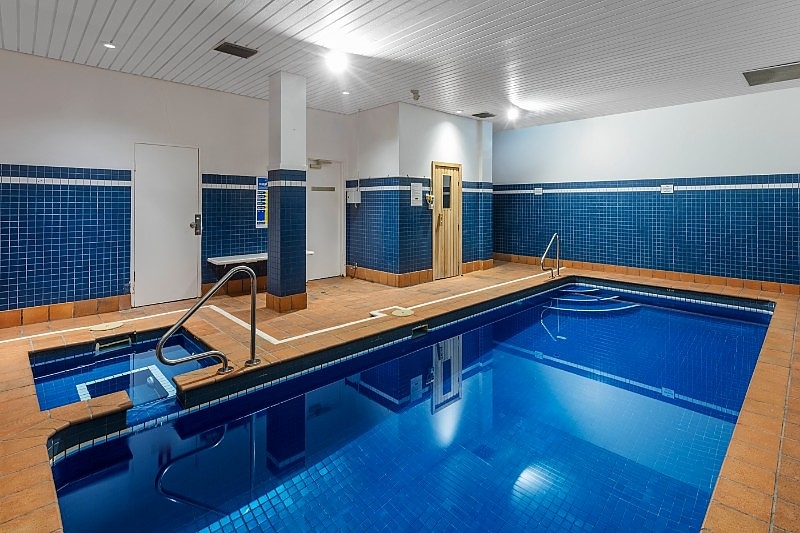 Facilities include an onsite breakfast lounge, coin operated laundry with washing machine and dryer, an indoor swimming pool with sauna, secure undercover parking and high speed WiFi access throughout the whole property. 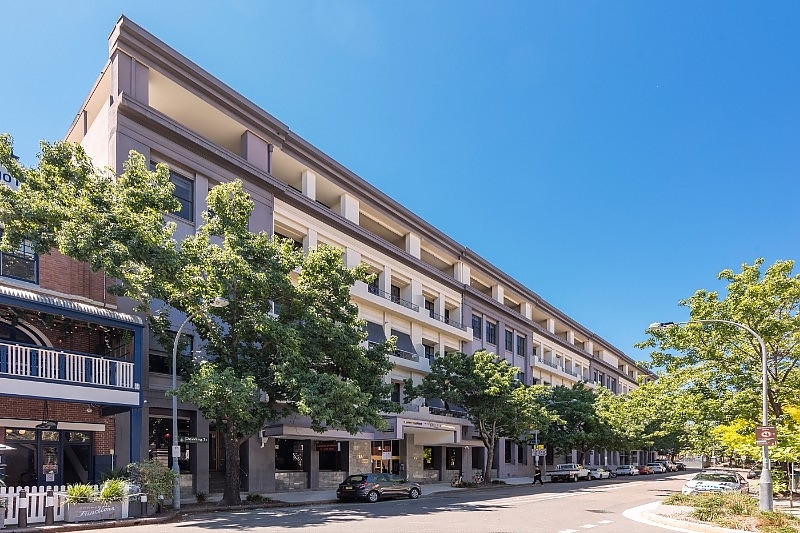 A childrens playground is located at the end of the building and an externally operated gymnasium is also available directly opposite the apartment building.